Fry bacon in pan on medium heat until golden and crunchy, set aside. Mix the feta, crushed garlic, chilli, mint and lemon juice in a small bowl. Spread the feta mix evenly over the toasted sourdough. 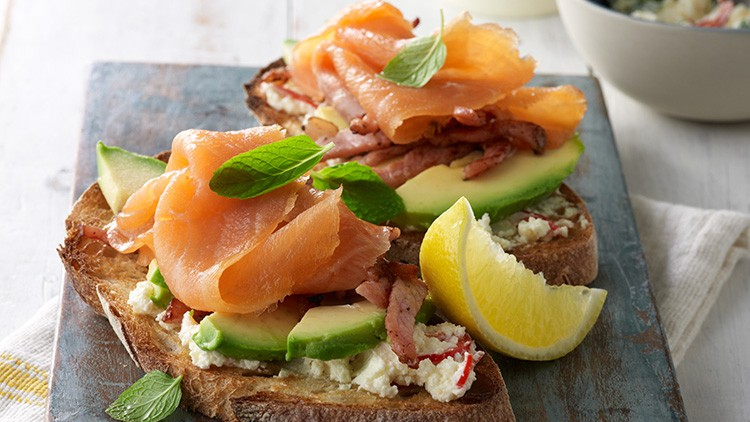 Arrange avocado, bacon, and smoked salmon on top of feta; serve immediately and enjoy!